In the great Pacific Northwest on 95 acres tucked away in the foothills of the Willamette Valley, Rick and Toni Petersen breed and raise all around Appaloosa Horses at their ranch Limited Spot Appaloosas. 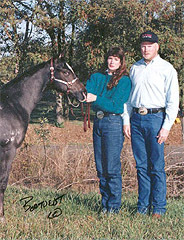 The Petersen's stand six stallions, breed 15-25 outside mares per year and have 20 of their own broodmares. 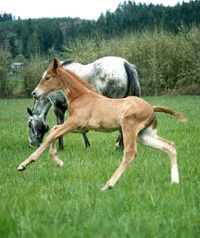 They have 8-10 foals per year and since 1991, they went from 5 horses to 44 horses.